Freebie alert! Free Mcdonalds Coffee is back! 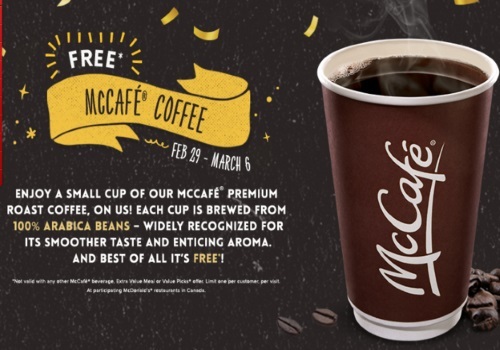 Get a Free Small Coffee at participating Mcdonalds across Canada! This offer is valid February 29- March 6 2016. This is available all day during the duration. No purchase necessary. Limit 1 per person, per visit.